I don’t own any sneakers. This is what I look like on casual days! Lol. I have only have one pair of sneakers for working out. #dassit. I have my casual days that involves FLATS FLATS FLATS. Live in ’em. Meanwhile, very cute look. The mixed patterns involving the clutch and wedges are on point. 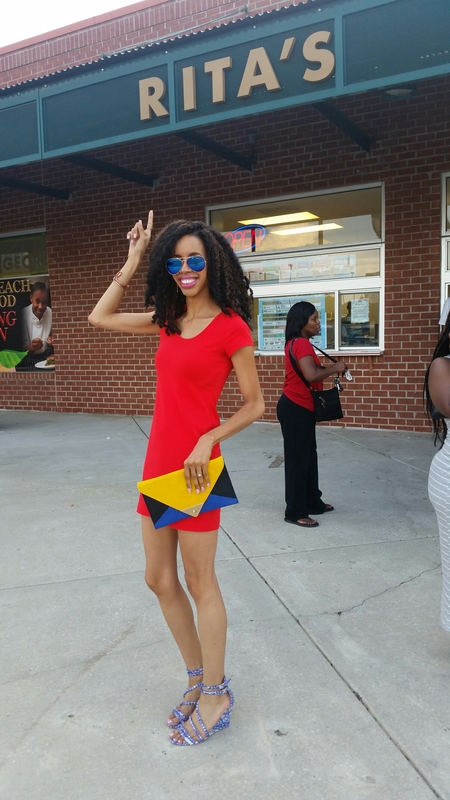 This entry was posted on June 6, 2015 by LaQuisha Hall in Casual Wear, Dresses, Natural Hair Flair, OOTD.